All database operations return a result. The type of result returned depends on the operation which was executed. The different types of results returned are outlined in the following table. 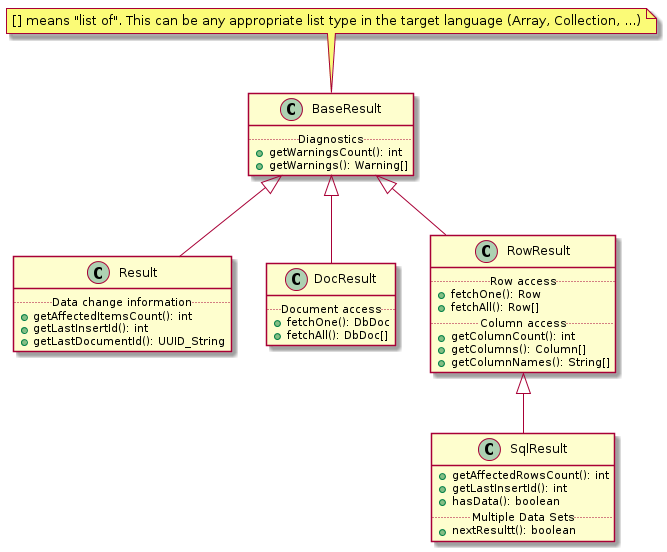 The following class diagram gives a basic overview of the result handling.